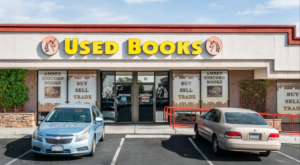 Here in Nevada, a good ghost story can be found pretty much anywhere you go. 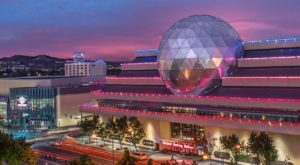 After all, there’s a reason paranormal enthusiasts flock to our state! 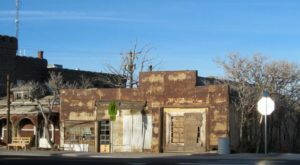 Most of these hauntings are limited to one location, but there’s one town in our state where you can’t help but feel like something is off about the entire place. Walking down the street, you’ll pass by plenty of empty and abandoned buildings…and you’ll find yourself looking behind your shoulder as you do. This little town is chock full of ghost stories and it’s downright creepy, to put it lightly. Don’t believe us? Maybe you should visit and see for yourself. 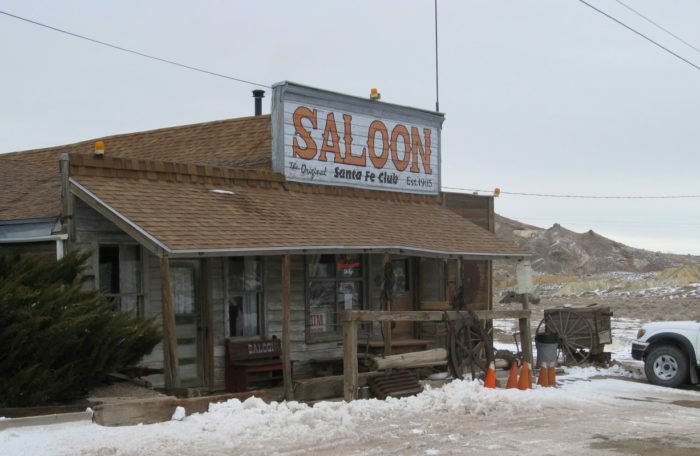 Technically, Goldfield isn't a ghost town—yet. 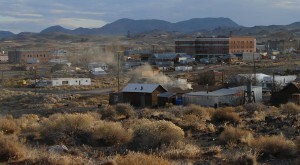 According to the last census, around 268 residents still call this ex-mining town home. However, you wouldn't exactly call this place "alive" either. In fact, it may be home to more ghosts than actual people. 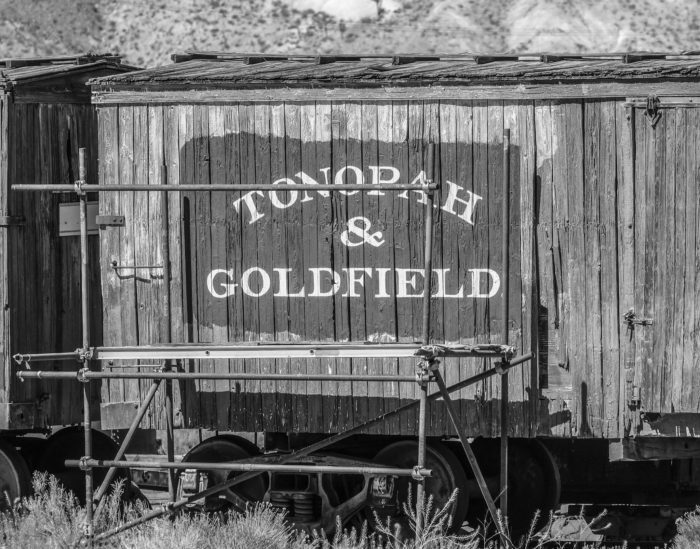 Originally founded in 1902, it wasn't long before Goldfield proved itself to be a prosperous and bustling mining town. At one point, this place was home to around 30,000 inviduals. Can you believe it? Production began to slow in the early 20th century, and many miners recognized the signs of a dying boomtown. 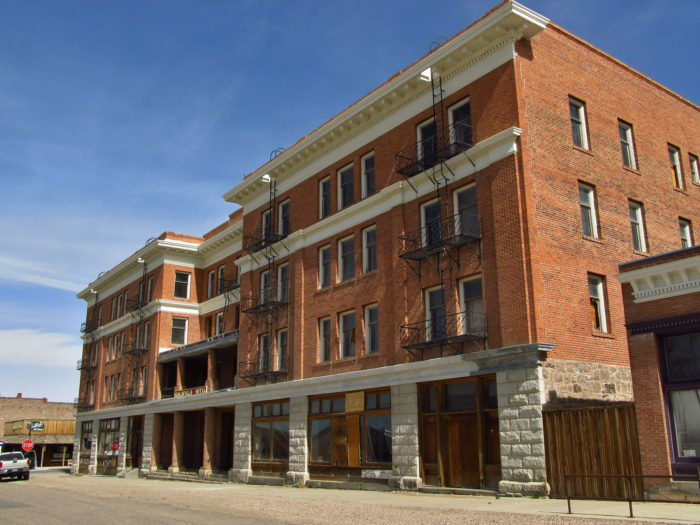 It wasn't long before Goldfield was almost entirely abandoned. Almost. Walking down the quiet streets of this historic town, you almost feel as if someone is watching you. It might be one of the town's residents, or it might be one of the miners that refused to leave Goldfield. In fact, it doesn't surprise most people to learn that this little town has its fair share of ghost stories. 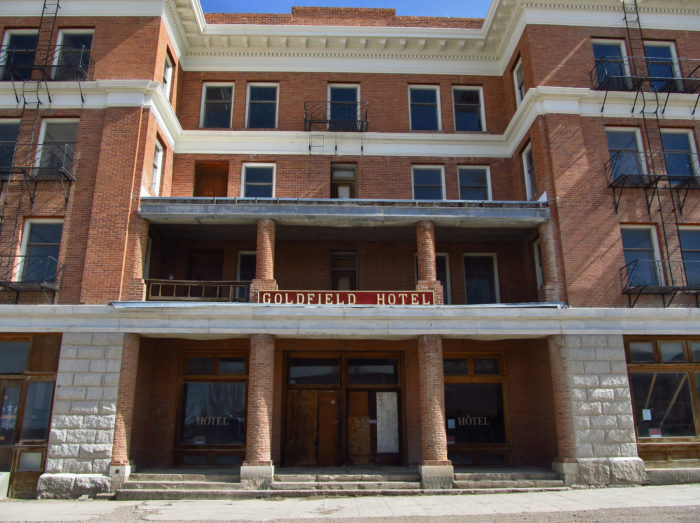 The old Goldfield Hotel is still standing. It was once considered one of the most handsome hotels in the state, but today it looks like an empty shell. There are reportedly several ghosts who linger in this old hotel, the most famous one known as Elizabeth. Elizabeth was a "lady of the night" that George Wingfield, the town's mining magnate, frequented often. 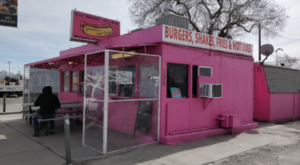 Legend has it that she turned up pregnant and claimed it was Wingfield's. It wasn't long before Elizabeth disappeared and Wingfield was thought to be behind it. Whether this legend is true or not, some people are insistent that they've heard the sound of a crying baby in the hotel. 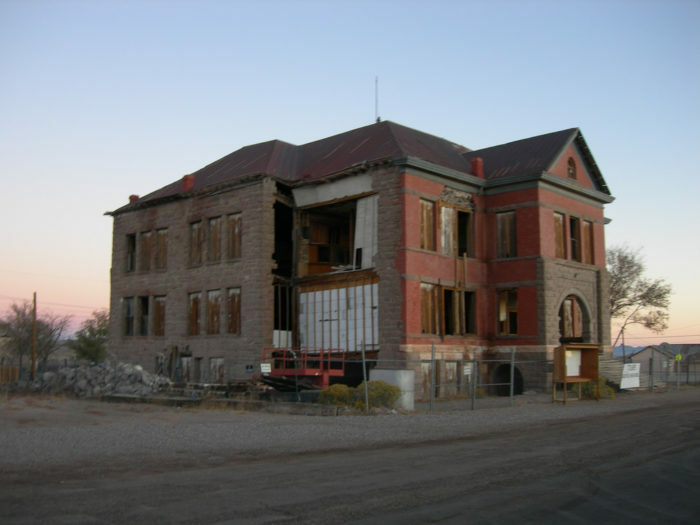 Another notable structure is the old Goldfield High School. Although considered stately during its heyday, the school has succumbed to the effects of time. 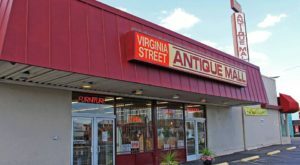 It was abandoned in the 1950s, and some people have reported seeing the spirit of a young girl who lingers in the empty building. 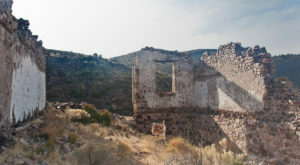 Golfield has definitely earned its reputation as Nevada's most haunted town, but the only way to determine whether there is any truth to these legends is to visit and see for yourself. What do you say? What do you think? 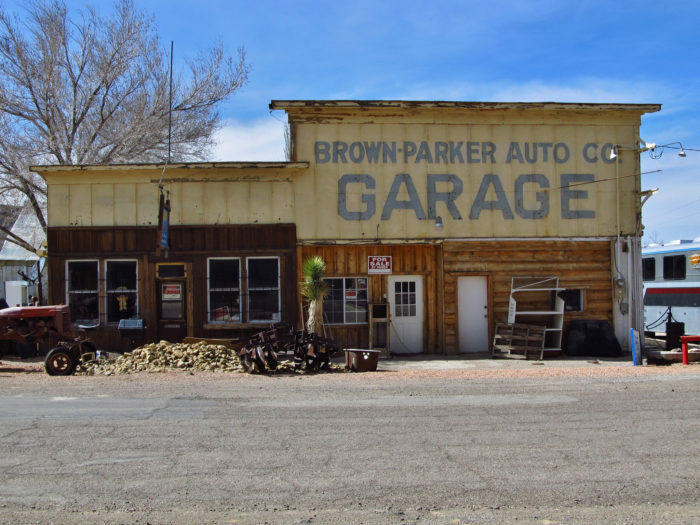 Do you believe the ghost stories that float around about this “haunted town”? 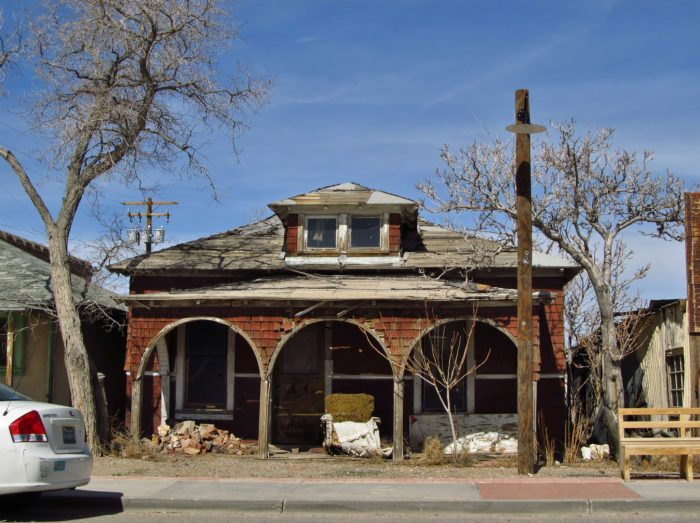 Let us know if you’ve experienced anything creepy in Goldfield. 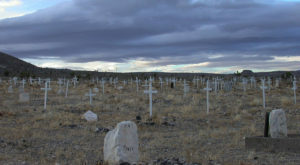 If you love checking out the Silver State’s creepiest destinations, be sure to take a look at our list of 8 Truly Grim Ghost Towns In Nevada.